Increase your team's productivity by the same tools they're already familiar with! 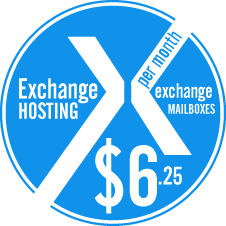 Microsoft exchange mail hosting is designed to reduce the total cost of ownership (TCO) for your business' messaging system. Hosted Exchange from IT Solutions Now delivers the advanced protection your company demands, and the anywhere access your people want. Access e-mail, voice mail, calendar, and contacts from virtually anywhere, anytime. 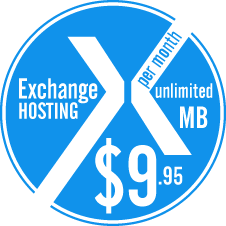 Microsoft Exchange is the industry's leading platform for e-mail, calendaring, and unified messaging. The most recent release, Microsoft Exchange Server 2010, is closely aligned with the Microsoft Office 2010 wave of products, which together deliver a best-in-class enterprise messaging and collaboration solution-however Microsoft Office 2010 products are not necessary to realize the core benefits of Microsoft Exchange. ITSP understands that a company's data center is the heart of its business and therefore keeping it in close proximity means faster access to critical data and business applications. Peak 10 delivers and supports data center solutions locally from world-class facilities in Louisville, Nashville, Tampa, Jacksonville, Charlotte, Raleigh and Richmond. Flexible but secure, protected but accessible, Peak 10 offers the best of both worlds. ITSP's hardware infrastructure combines hardware from the industry-leaders Dell & Cisco Systems. Dell's next-generation servers provide performance combined with a balance of internal expandability and rack density, while the market-leading Cisco PIX Security Appliance delivers robust user and application policy enforcement, multivector attack protection, and secure connectivity services. © 2012 ITSP | Any commercial use or distribution without the express written consent of ITSP is strictly prohibited.